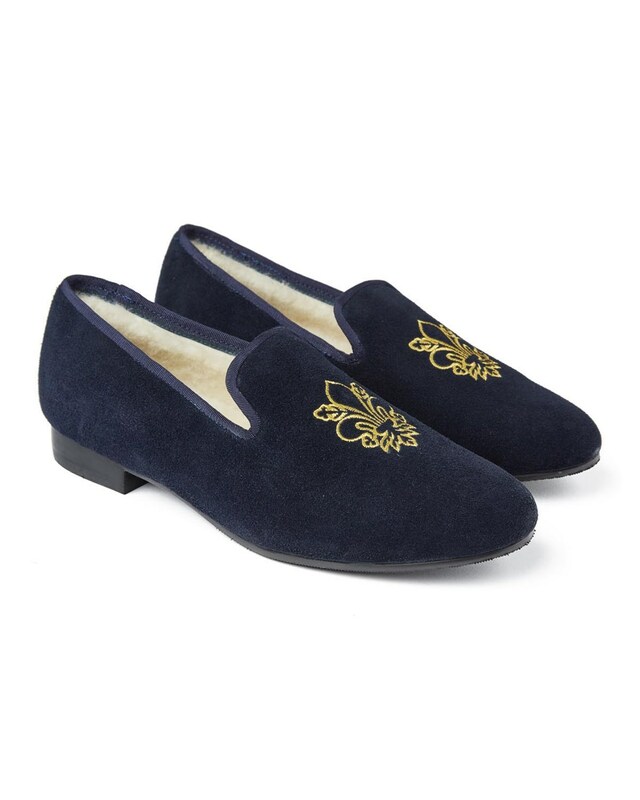 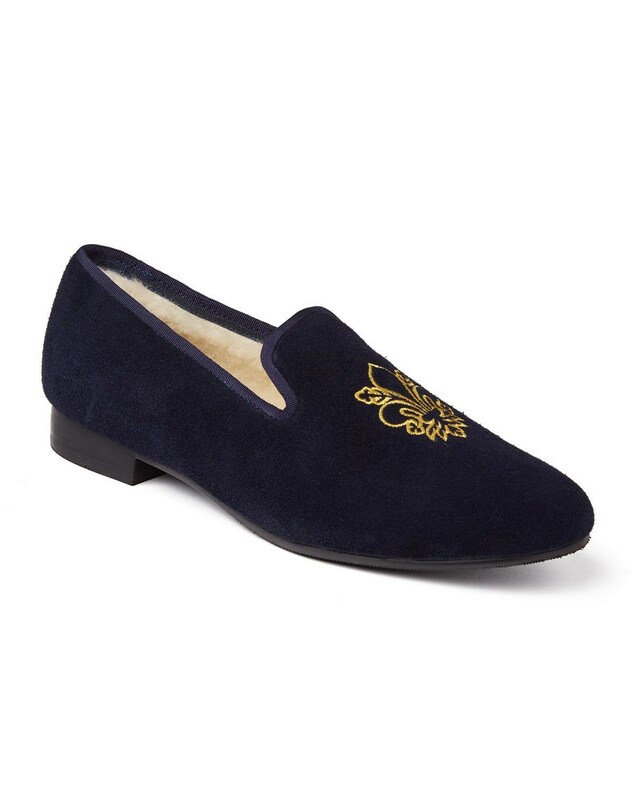 An indulgent Albert smoking suede slipper lined in Morlands’ signature sheepskin, this Duke slipper has a rubber sole and 1" heel making them suitable for light outdoor wear. 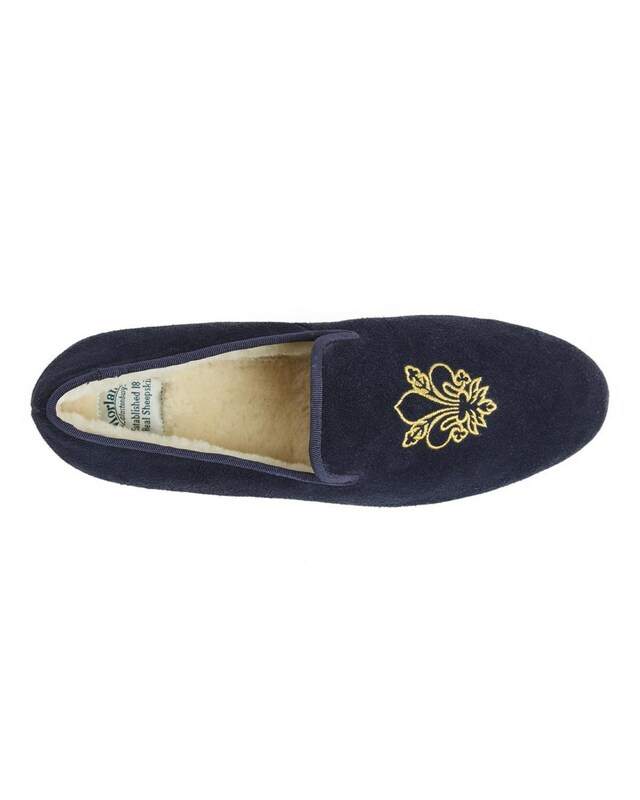 Available in Classic Black or Navy with a delicately embroidered gold motif on the front, this slipper is perfect for both casual and formal wear. 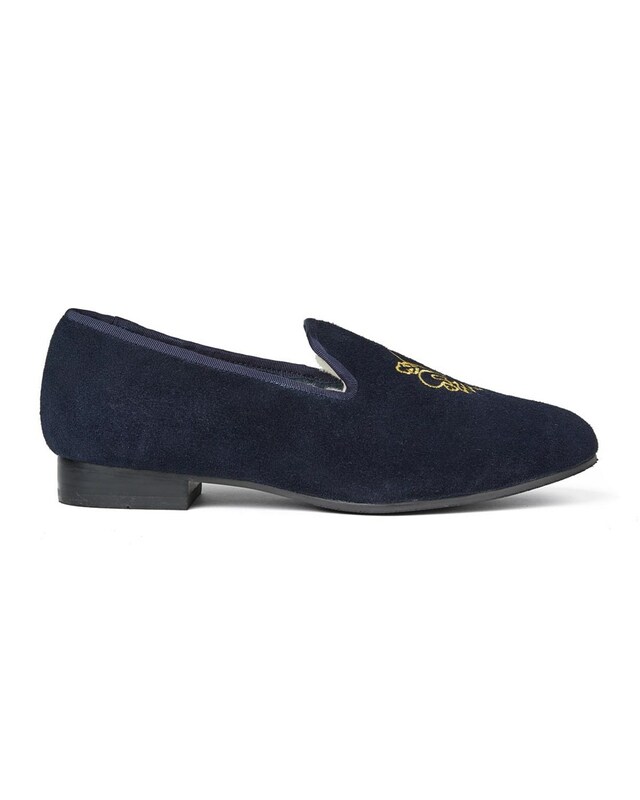 The Duke slipper is smart, warm and comfortable with a Logo-embossed rubber outsole, ideal for pampering your feet both outdoors or lounging in luxury at home.